The mind may be willing but the body’s saying NO! A common feeling! You want to get off the sofa or jump out of bed but every bone and muscle in your body is disagreeing with your mind. Sounds familiar? Unfortunately, many of us suffer with low energy levels much of the time (whatever age) and some of us feel tired all the time, also known as TATT. So what changes can you make to your nutrient intake to give your energy a boost? 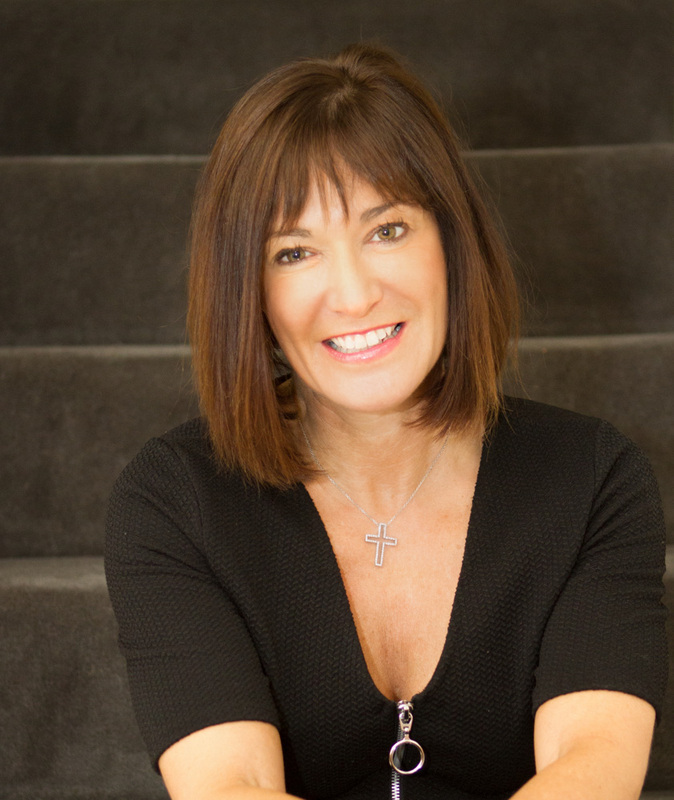 Clinical Nutritionist Suzie Sawyer shares the top nutrients we need to get that ‘leap out of bed’ feeling! The trace mineral iron is critical to human life. It plays a pivotal role in the production of red blood cells, transporting oxygen from the lungs around the body, but is also key in energy production. Unfortunately, it’s often depleted, particularly in teenage girls and women of child-bearing age, partly due to monthly menstruation but also down to the typical Western diet. Deficiency symptoms can lead to anaemia and tiredness. The most well absorbed form of iron, known as heme iron, is found in animal foods particularly red meat, which many people don’t eat. 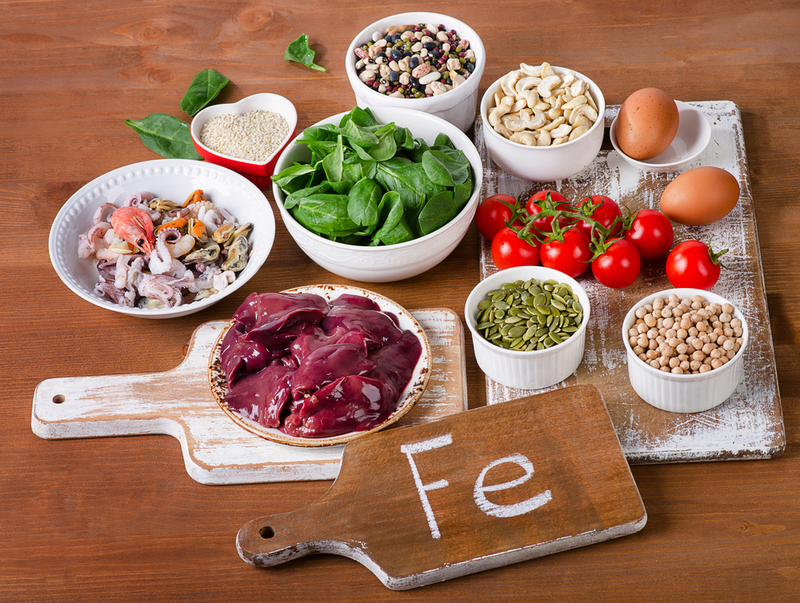 However, non heme iron is found in plant foods such as nuts, Jersusalem artichokes and green leafy vegetables. Interestingly, even a small iron deficiency can cause fatigue and reduced physical performance, and this will be really noticeable if you’re a keen exerciser. It’s therefore worth getting a blood test from your doctor if you think you could be low in iron. The good news is that even though plant-based foods do not contain heme iron, absorption can be considerably improved if they’re eaten with other foods containing vitamin C. Green leafy vegetables naturally contain a lot of vitamin C but drinking a small glass of orange juice at the same time can really make a difference. One of our most abundant minerals in the body, magnesium is essential for energy production as well as muscle function. Indeed, it’s key in producing our main energy producing molecule, ATP – Adenosine triphosphate – an energy-carrying molecule found in the cells of all living things. However, as with many other nutrients, magnesium is often deficient due to low intake from the diet, plus magnesium and the B vitamins are also depleted by stress, our modern-day epidemic. Magnesium is found in whole foods such as whole wheat cereals and bread, beans and pulses, as well as green leafy vegetables, avocados, bananas and sweet potato. It’s also good news for seafood lovers as a portion of halibut supplies around a third of the body’s daily needs. Magnesium can be a confusing mineral. Whilst it’s essential for energy production because of its role in enzyme production, it can also help people to sleep: this is because it aids muscle relaxation and as such is known as ‘nature’s natural tranquiliser’. So the best advice is to ensure you’re eating plenty of magnesium-rich foods throughout the day but if you need help sleeping then it’s best to take a supplement of magnesium around an hour before bedtime. Plus, the more sleep you have, the more energised you’ll feel! These are a family of 8 nutrients that all work together in perfect harmony. 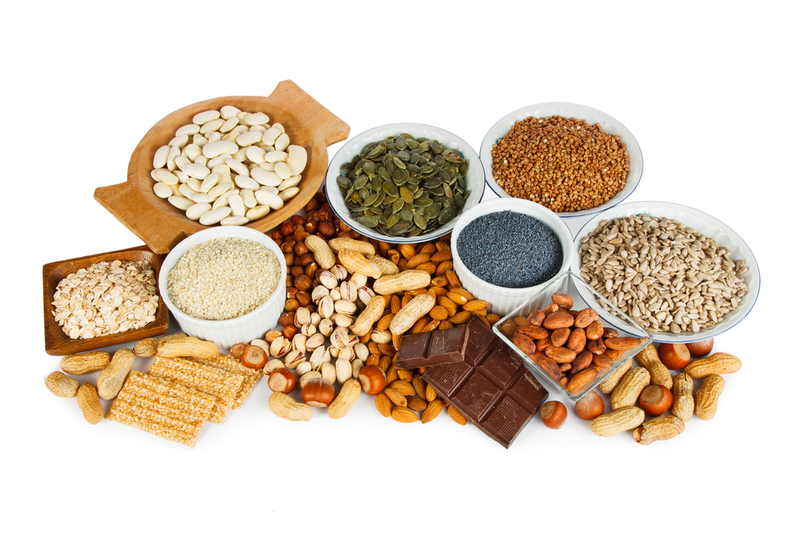 Vitamins B1, B2, B3, B5, B6, B12, Folic acid and biotin all play key roles in energy production. They’re sometimes found in combination together in foods but they certainly all club together and work in unison in the body. So where can you find them? 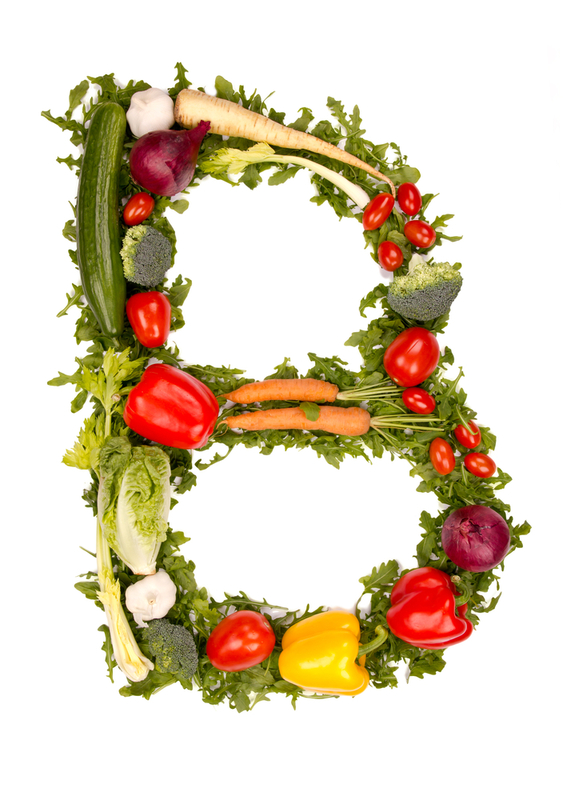 If you’re having a varied and colourful diet, you’ll certainly be getting some B vitamins. However, vitamin B12 is only found in animal produce such as liver, fish, red meat and cheese. Therefore, if you’re vegetarian or vegan, you’re more than likely to need a supportive supplement. A lack of vitamin B12 will definitely cause energy levels to be low. 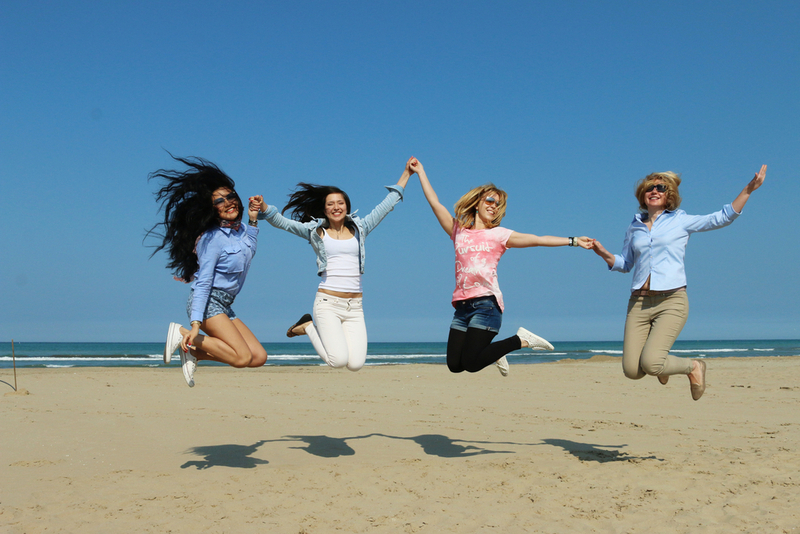 Biotin is often referred to as the beauty vitamin as it supports your hair and skin, but its presence is also essential for energy production. Another reason to be stocking up on nuts, rice, whole wheat cereals, liver and soya beans. And if none of these foods float your boat, then taking a supplement is a really good idea. So fuel up with these top nutrients and energise yourself for a life with more get-up-and-go!